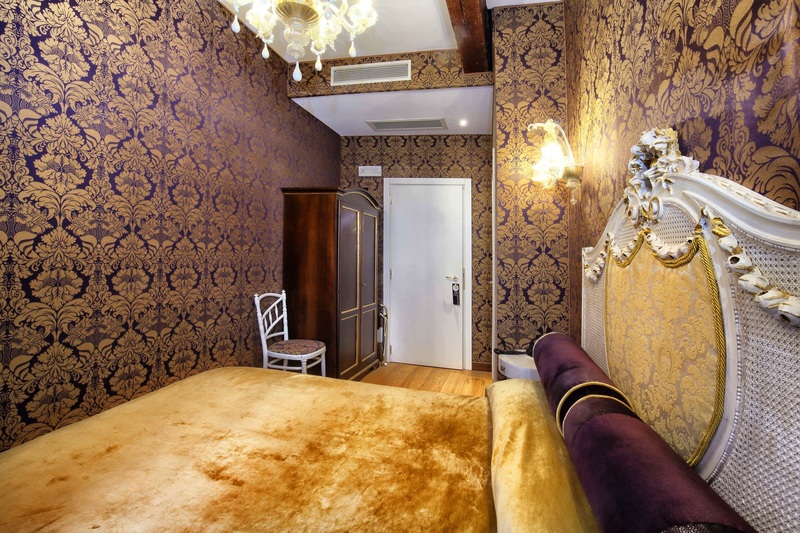 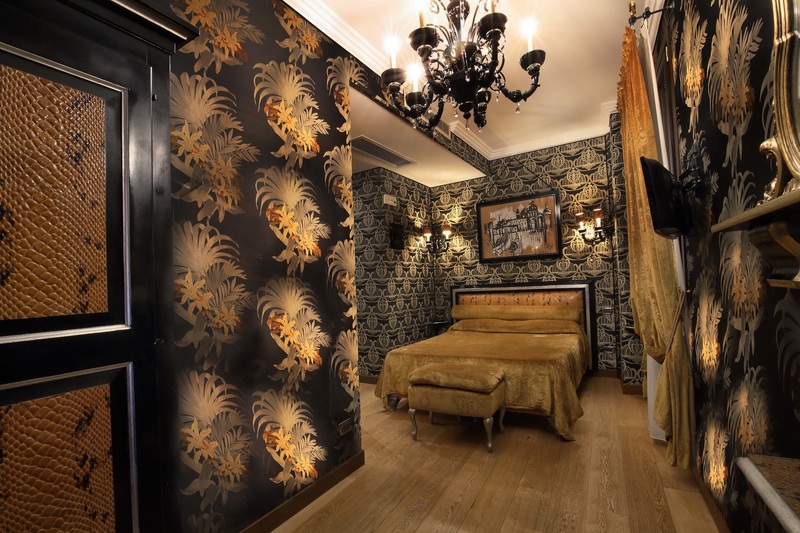 The Classic room with its purple and gold damask intertwined in the walls and on the velvet enveloping the comfortable bed. 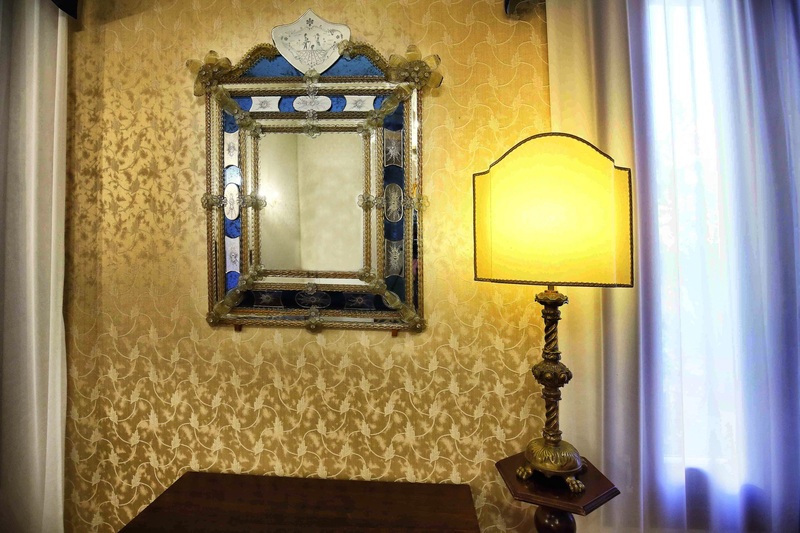 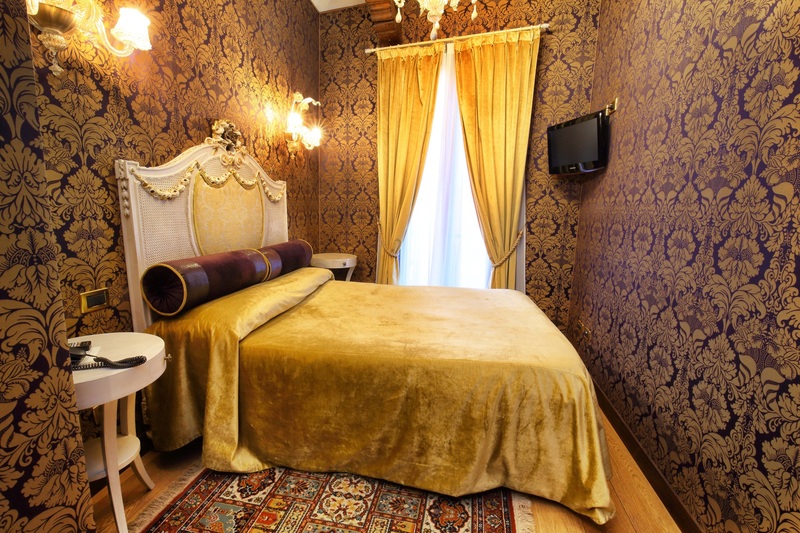 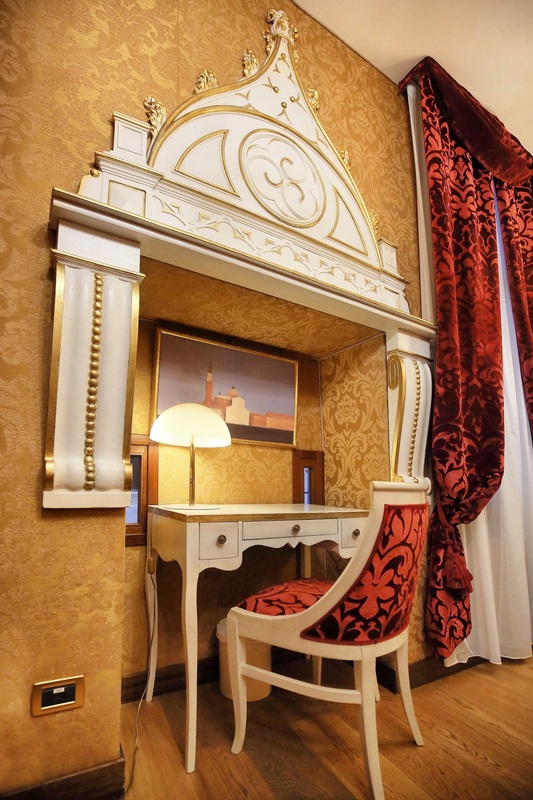 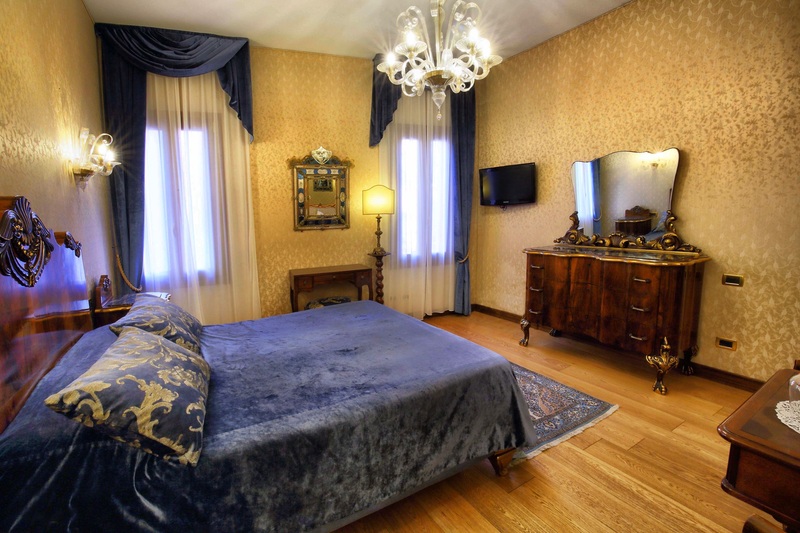 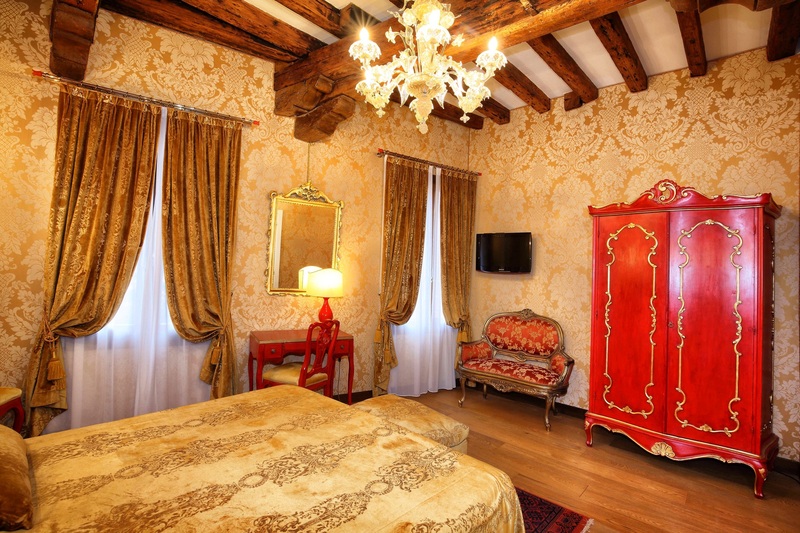 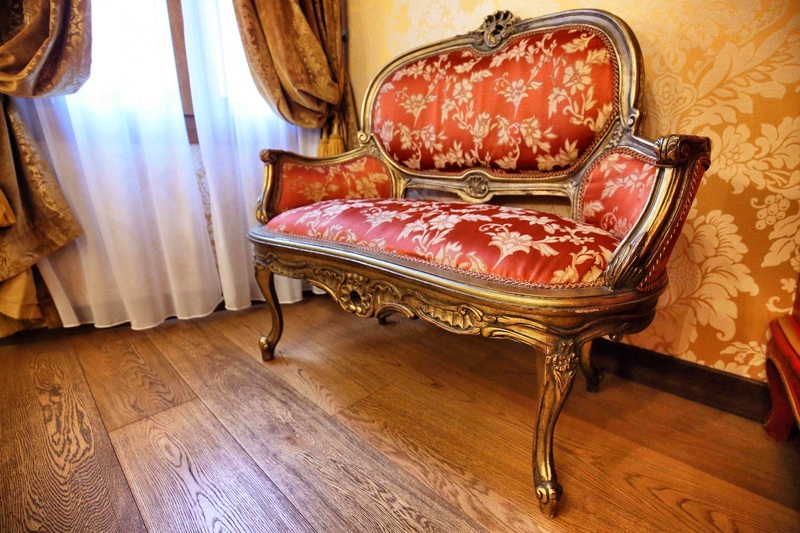 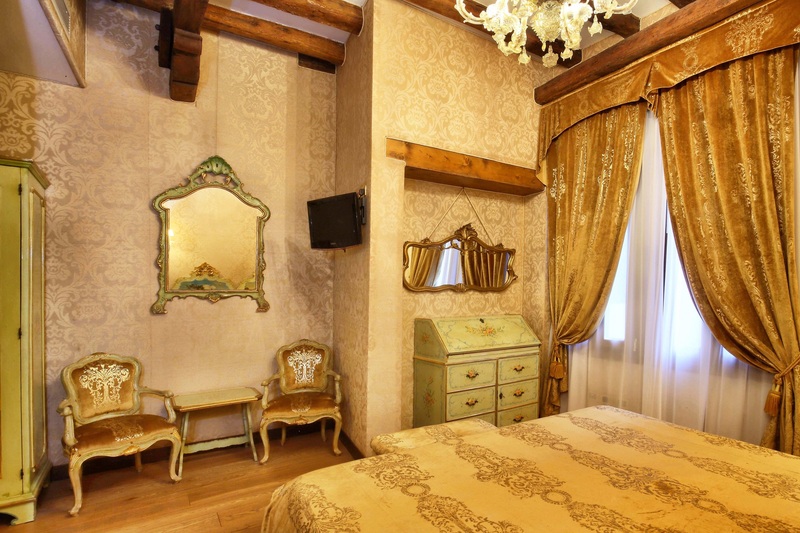 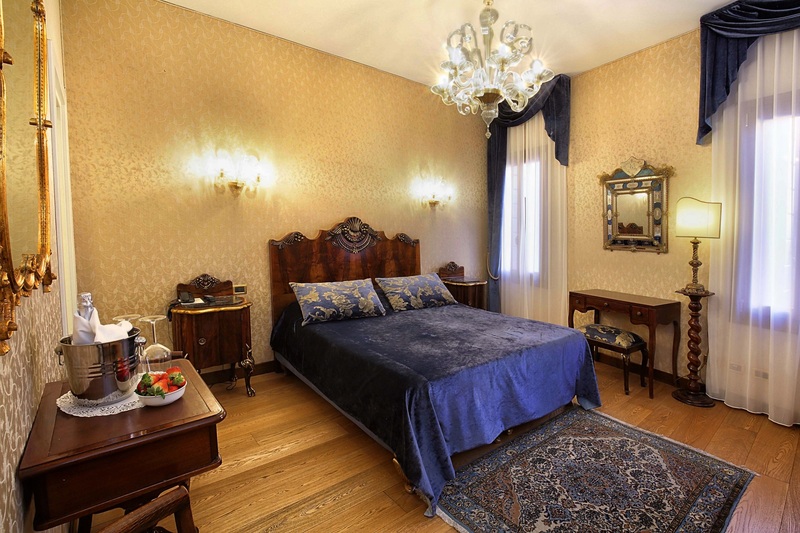 Decorated with antique furniture and original Murano glasses, this room offers wooden floor and original beams of the XVI century, moreover it has a precious little romantic balcony. 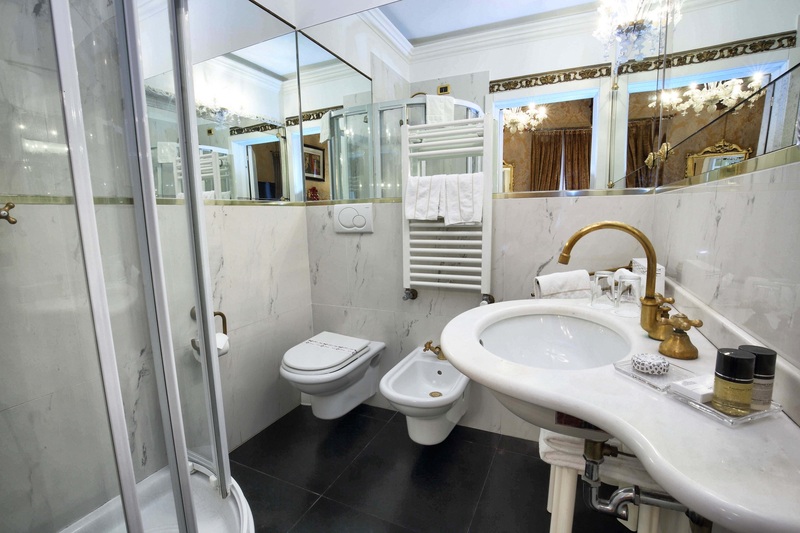 The bathroom, with bath-tub and shower, is surrounded by elegant marble and equipped with towels, hair-dryer and courtesy-kit. 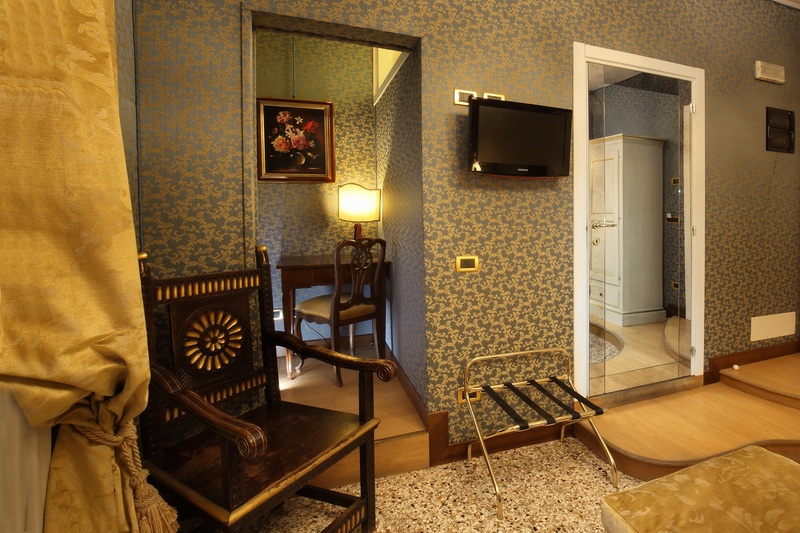 In the room you will also find a telephone, free wi-fi connection, satellite tv, minibar and electronic safe. 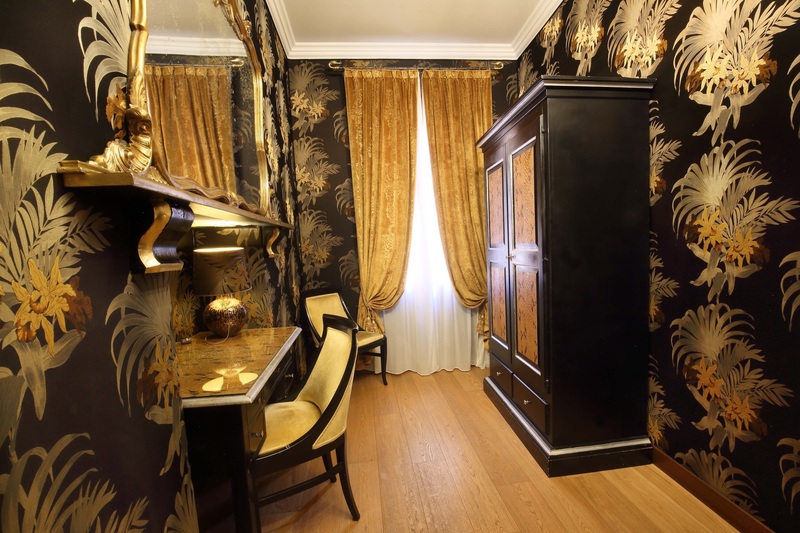 Precious and colorful textures make every room alive: an explosion of style from the Venetian to the Oriental in the honor of the greatest traveler of all time: Marco Polo. 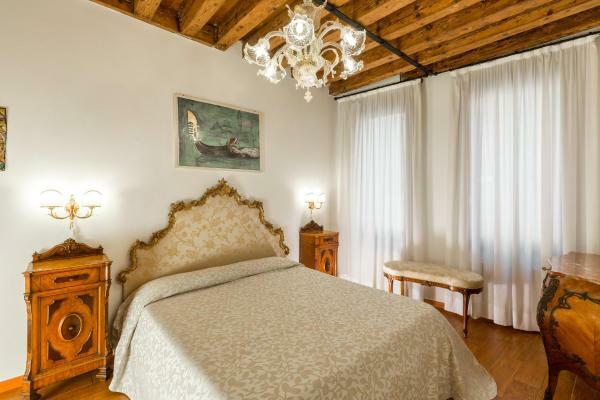 The floors made of wood or in typical Venetian style and the original beams give the room a polish and elegant atmosphere. 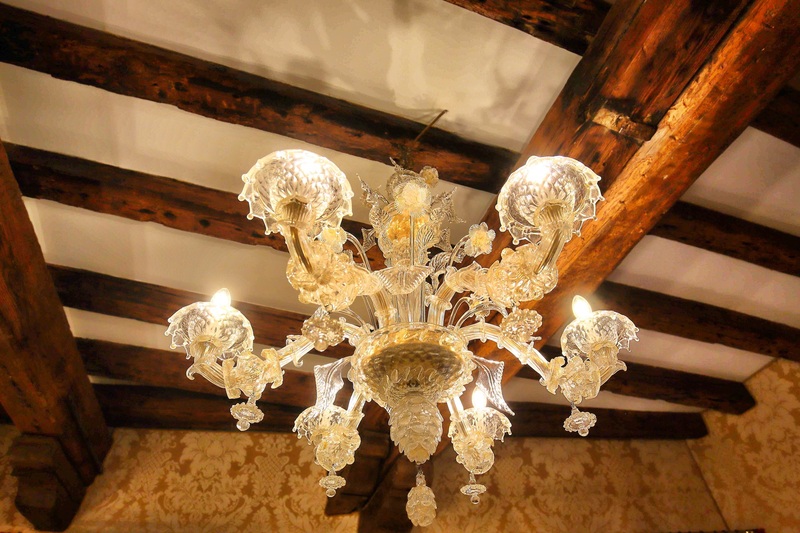 To celebrate the history of these rooms at the walls there are original Murano chandeliers. 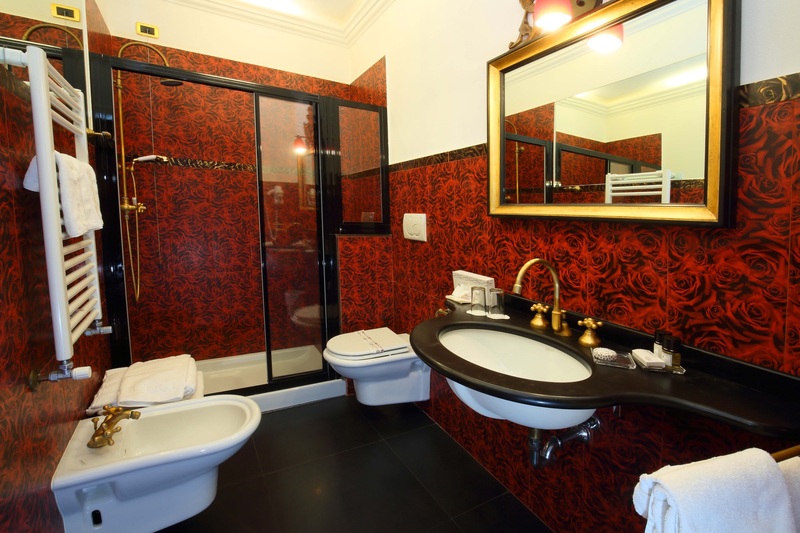 The bathrooms, all with showers, is completed with elegant marble, are equipped with towels, hair-dryers and courtesy-kit. 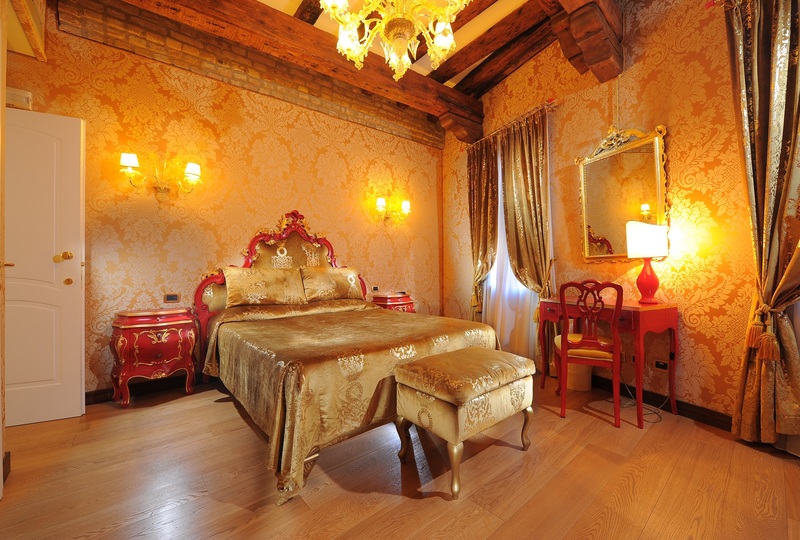 The Doge’s room and the Venetian Room are an explosion of gold, synonymous of prosperity and pomposity. 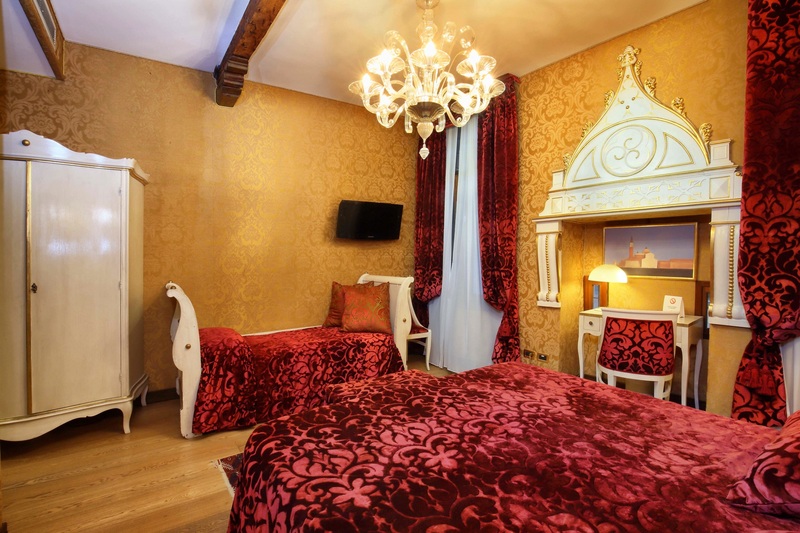 Decorated with taste and elegance, the deluxe rooms have blossoming gold damask on the walls, antique furniture dated back to the XVII century and luxurious Murano chandeliers. 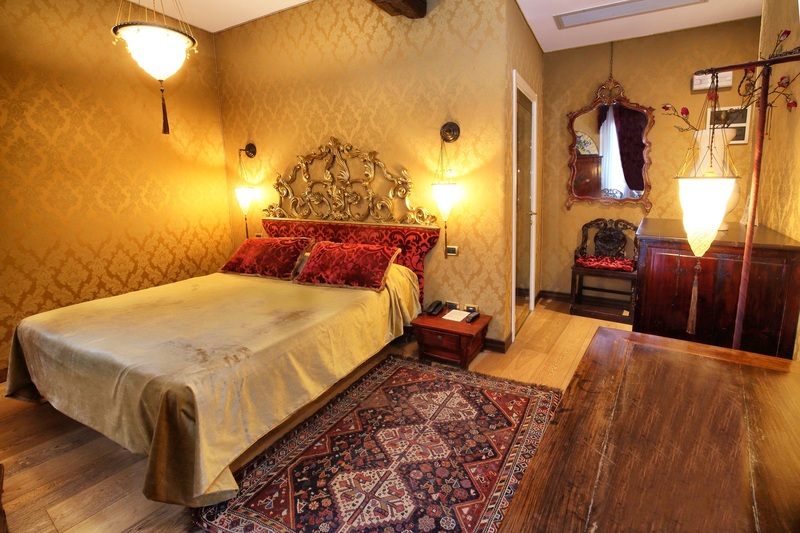 Floor made with precious wood and original beams complete the rooms. 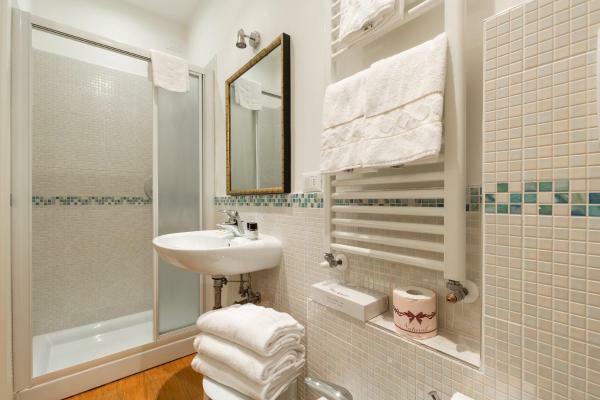 The bathroom, with either shower or bath, have an elegant color and they all are equipped with towels, hair-dryer and courtesy-kit. 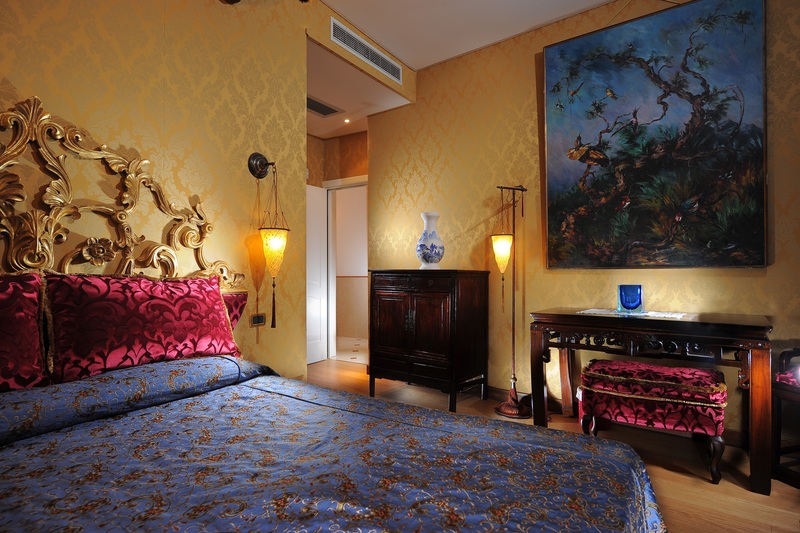 Blue and gold intertwine in unique and elegant elements in the „Chippendale “Junior Suite. 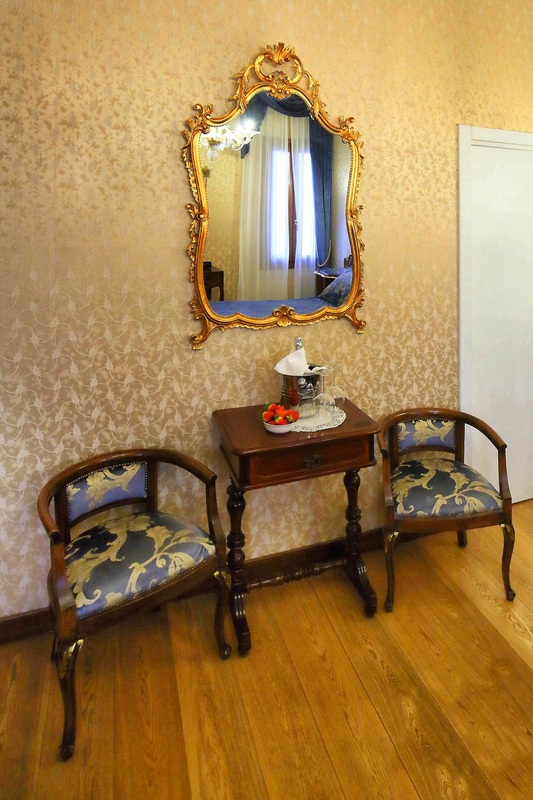 The room has a day-use area equipped with a precious table and chairs that will be able to gift you with a relaxing break. 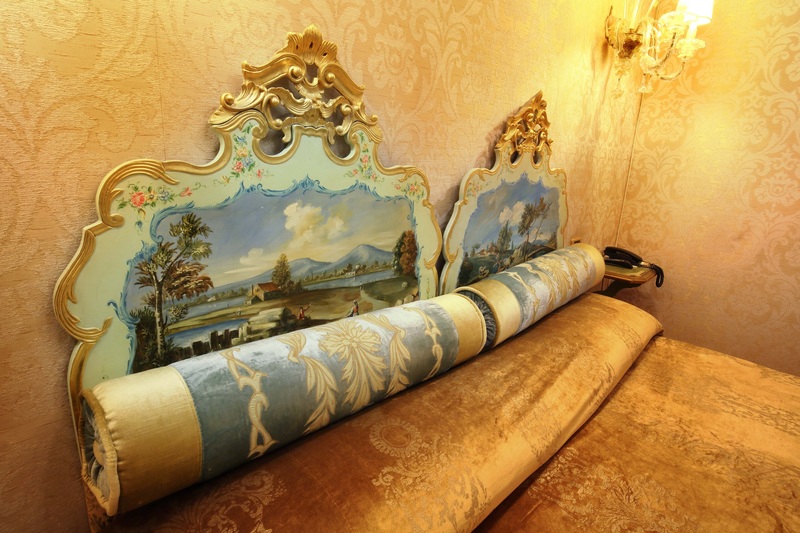 The bed made with polish brocade will cuddle you perfectly. 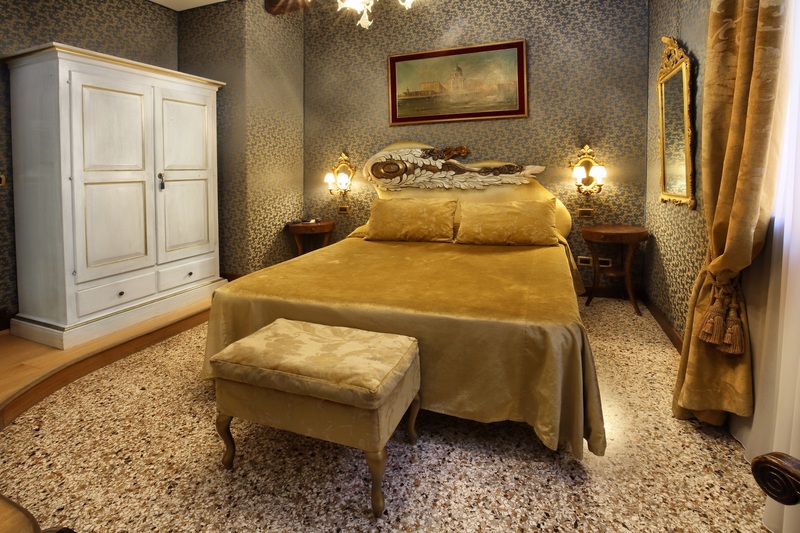 The artistic style of the room is being created with an idea of soft lines, recalling the famous designer from which the room takes the name. 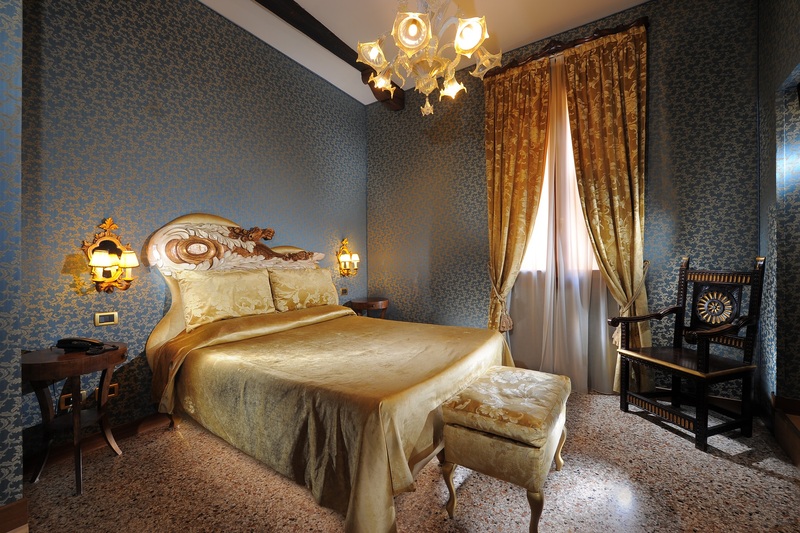 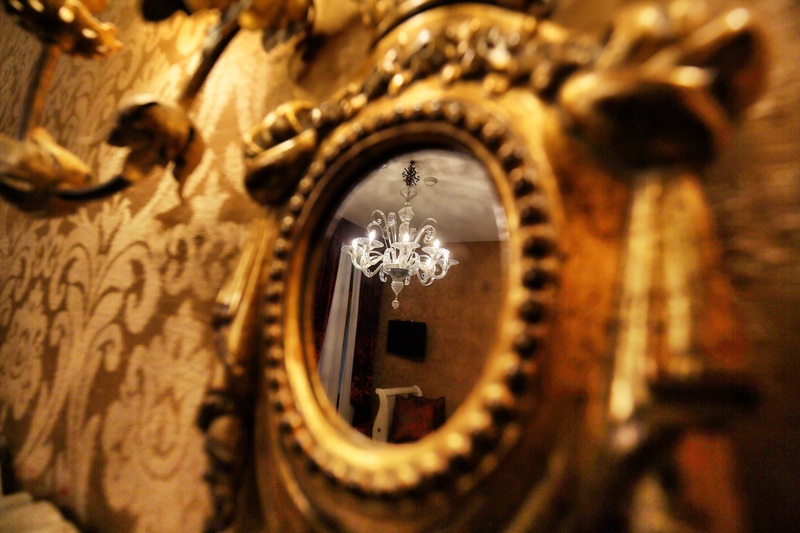 Elegant Appliques, a luxurious Murano chandelier, artistic glass elements and a golden mirror complete the noble room. 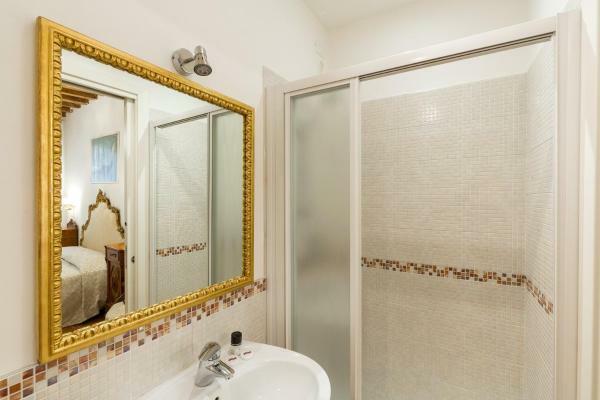 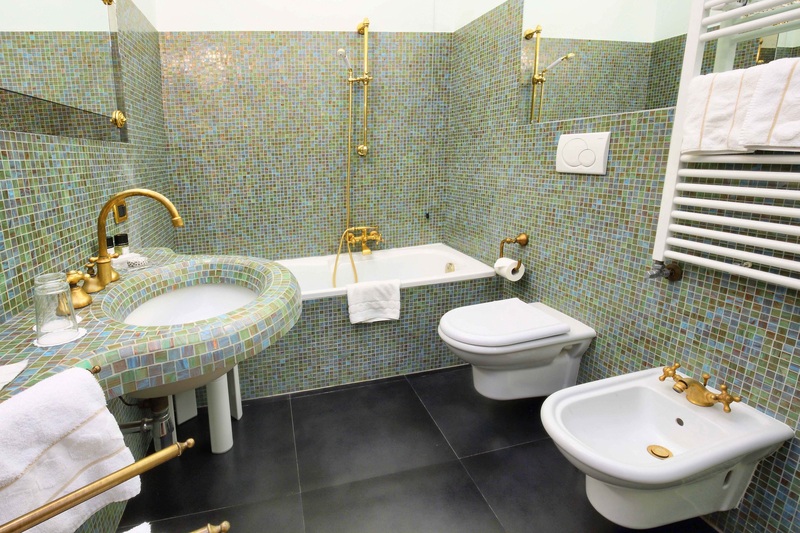 The bathroom, with either shower or bath, is completed with an elegant marble and a beautiful mosaic it is equipped with towels, hair-dryer and courtesy-kit. 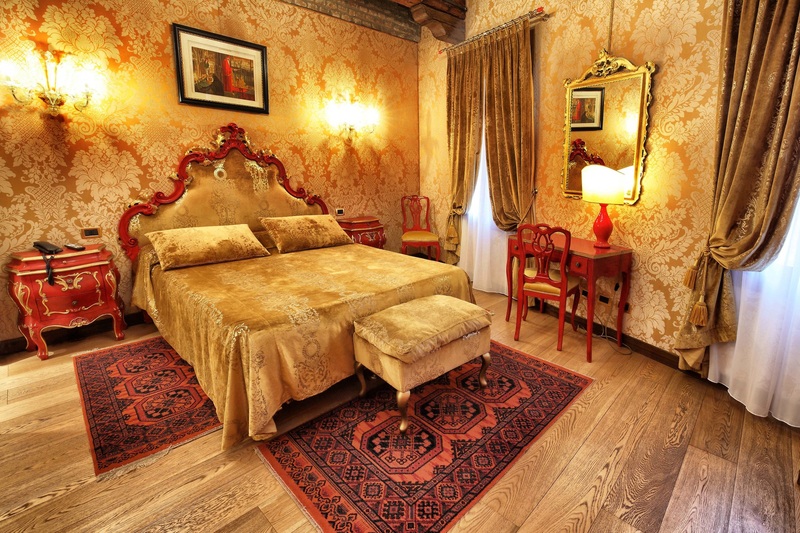 Gold and red are the colors that suggests the „Casanova“ room as the hymn to pomposity. 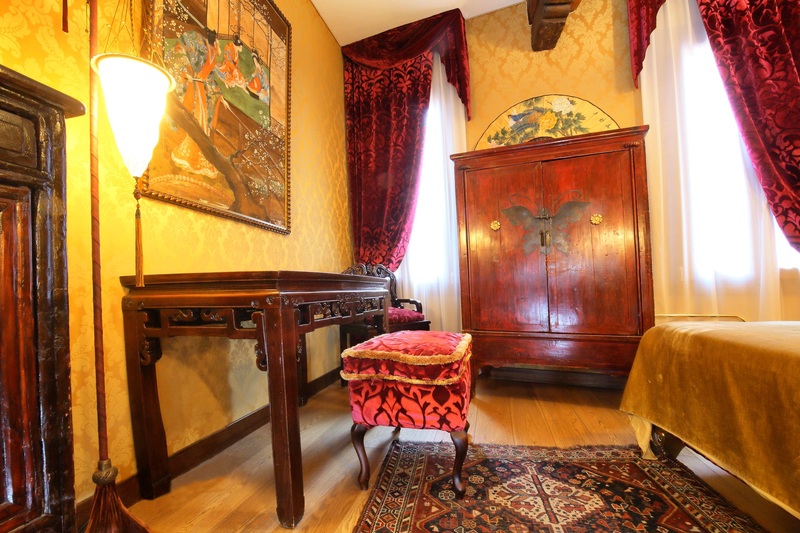 The room is wide and welcoming, equipped with an antique furniture and finely decorated with a romantic desk, as a reminiscence of a poet, writing letters to his lovers. 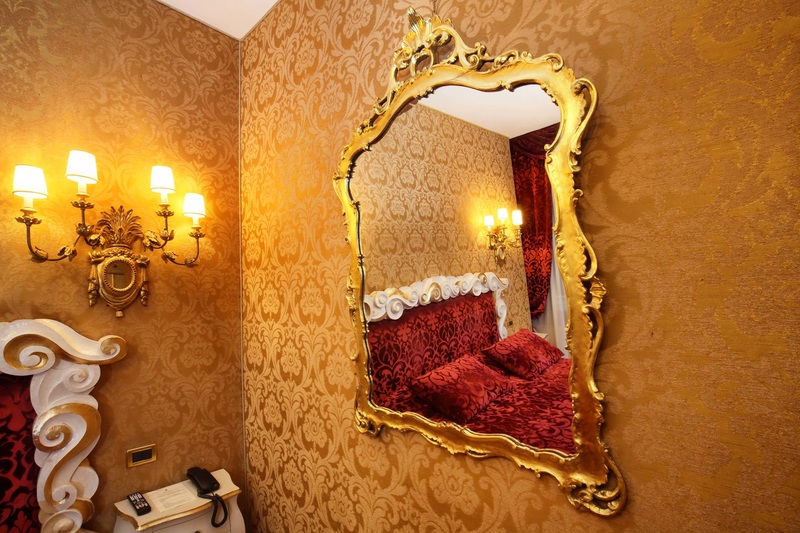 The walls sparkle with Rubin red: from the bed’s precious brocade to the rich decorations. 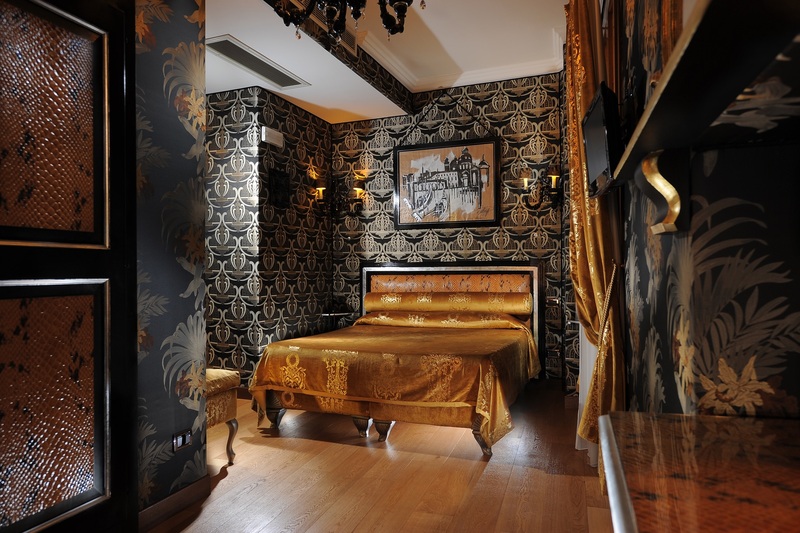 The room can host up to three persons thank to the luxurious sofa bed. 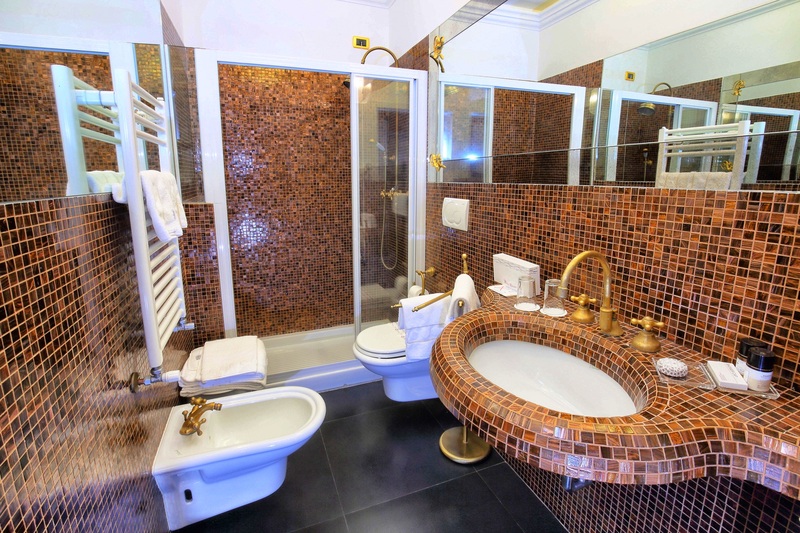 The bathroom is completed with an elegant shower and a marble mosaic and it is equipped with towels, hair-dryer and courtesy-kit. 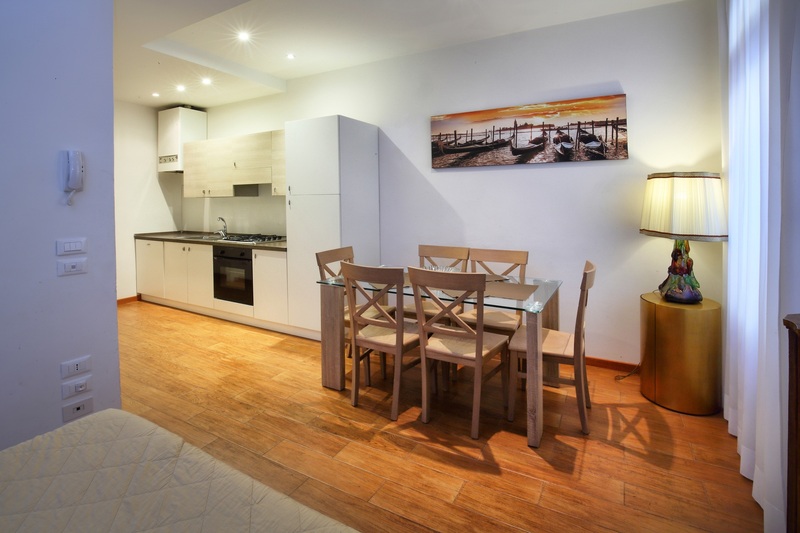 A perfect solution for the families that want to make an independent holiday. 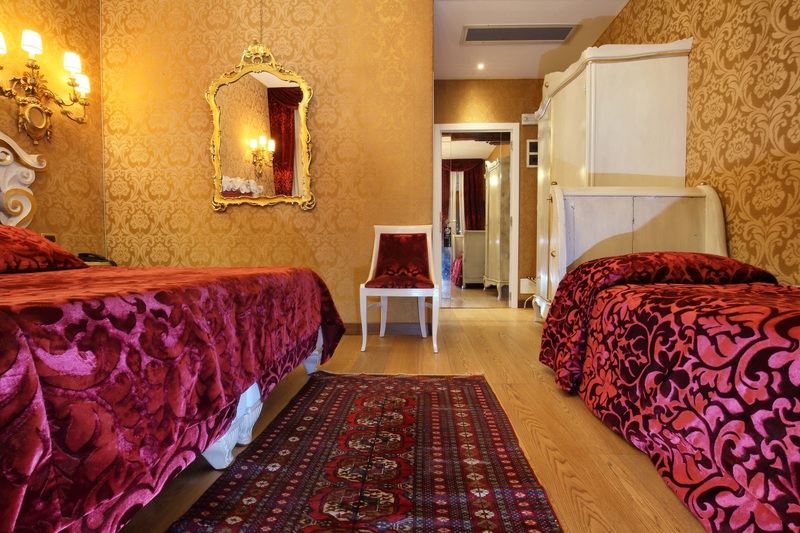 Situated in front of the Hotel, it offers to its guests the chance to have a place to always go to for any need. 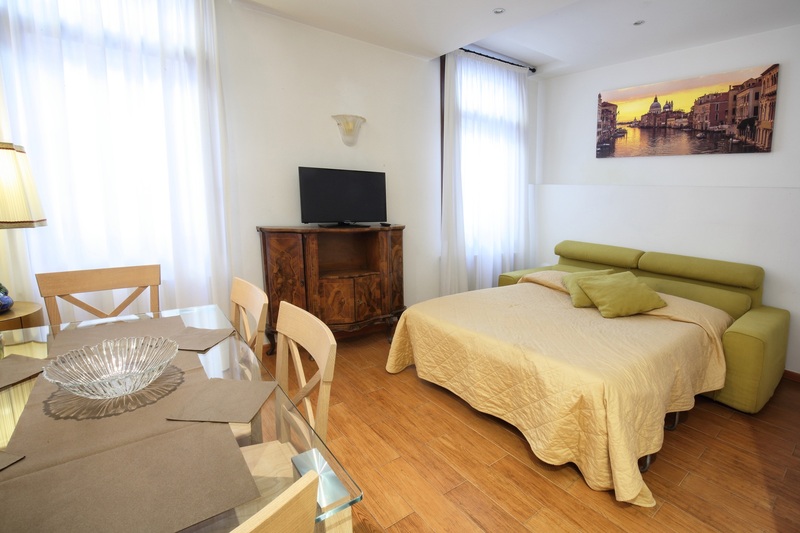 The apartment has a modern and bright style and it has a double bedroom, a single room and the chance to have a double sofa-bed in the living room. 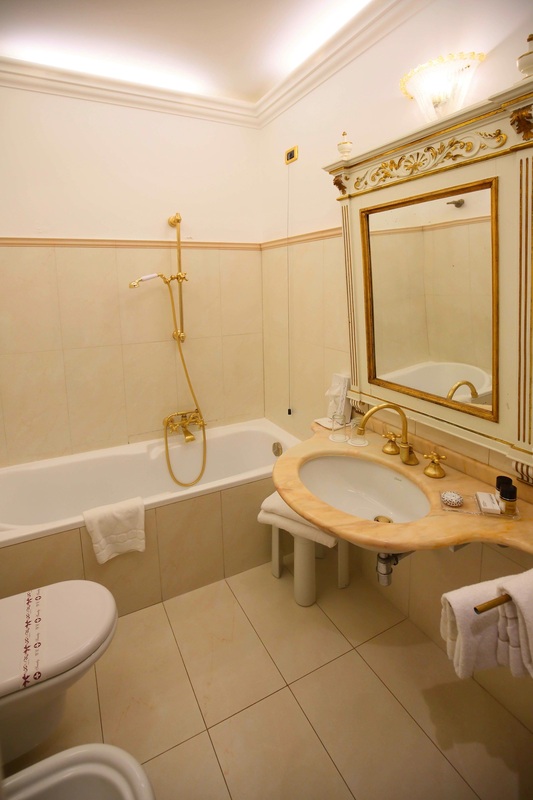 Furthermore, to ensure a better comfort, in the apartment there are two bathrooms with shower.